Without a doubt one of the most significant Black Metal releases ever!!! 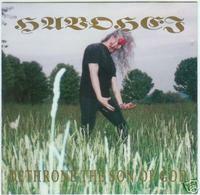 The debut full length CD "Dethrone The Son Of God" was recorded as a tribute to the mighty PROFANATICA. It features what some consider to be the best versions of many of PROFANATICA´s classic blasphemies as well as a few newer tracks that had never been recorded before this release. This re-issue has reworked booklet and tray card artwork that by far rivals the original!